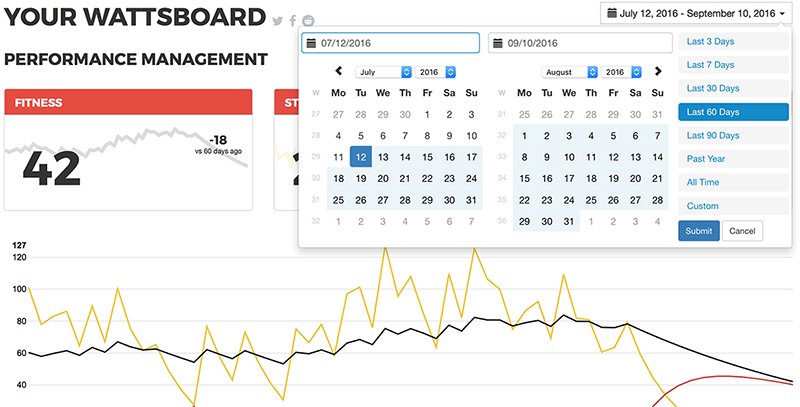 WattsBoard gives you quick and easy access to ride data in an easy to use web-based dashboard. Plan your training schedule and workouts with precision. The Fitness and Stress chart allows you to track stress, fitness and freshness levels. Monitor your power profile and find areas for improvement. Track your FTP and Weight changes. Changes to FTP and Weight are constantly evolving and WattsBoard takes this into account. Any changes made to your metrics are updated in real-time. Filter your power metrics by date, for a detailed view of how your profile has changed over time. We can send you power records as soon as you set them. We'll also send you a weekly summary of your training along with a recap of records that have been recently set. 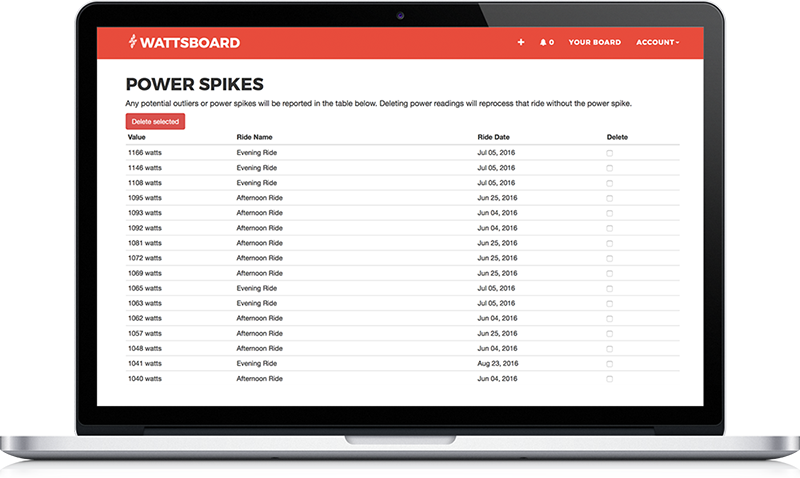 WattsBoard gives you visibility into power spikes and erroneous data. 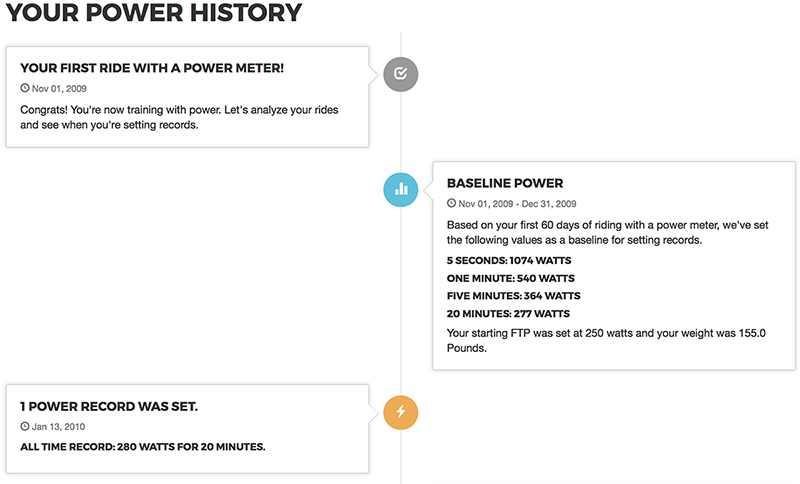 You'll also have a direct view into your power history timeline - a customized report displaying each and every momentous occasion in your training. Armed with a bike and power meter, sign up for an account. We won't spam you. Let us know a little about you. What's your estimated FTP and weight? We'll do the rest. Automatically import your ride data from other services or manually import your TCX/FIT ride files. Slice and dice your data. Use this knowledge to build an improved training plan and start to dominate. Our pricing isn't complicated. Use WattsBoard for free and analyze six rolling months of data. Upgrade to Pro for unlimited analysis, data storage and advanced features. Drop us a line and we'll get back to you shortly. How much does WattsBoard cost? Nothing! 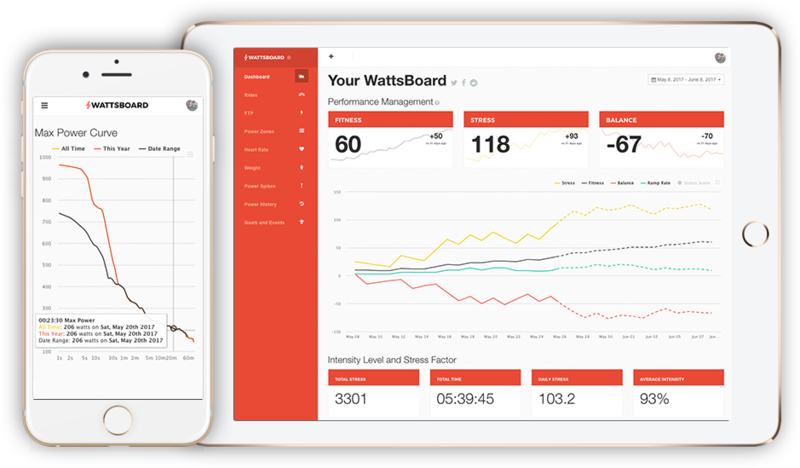 WattsBoard will always have a free tier to help you plan and monitor your peformance through a season. Power meter analytics doesn't have to be expensive and complicated. 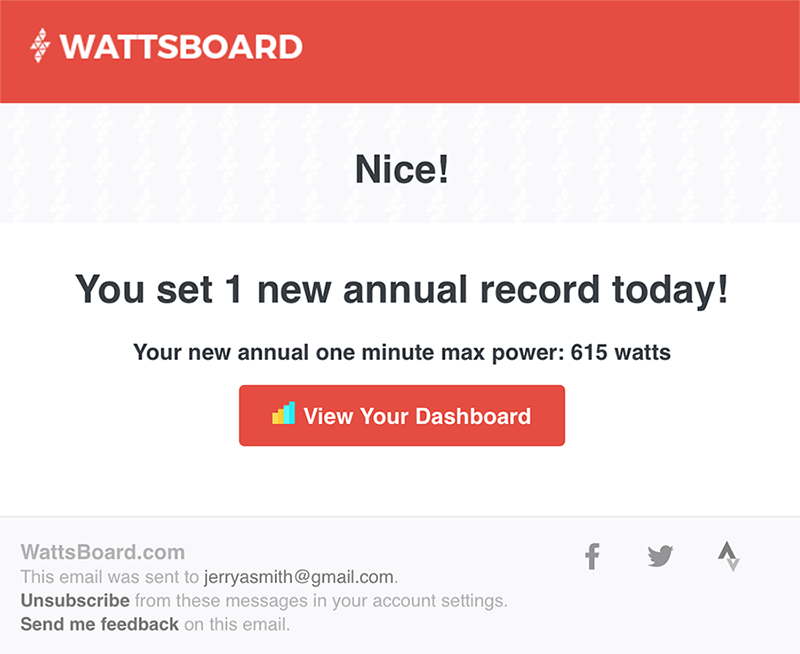 Can I use WattsBoard without a power meter? While we do calculate Heart Rate Stress, the majority of our charts and analyses have an emphasis on data from a power meter. You do have the option of manually inputting Stress and Intensity to manage your performance levels, though.